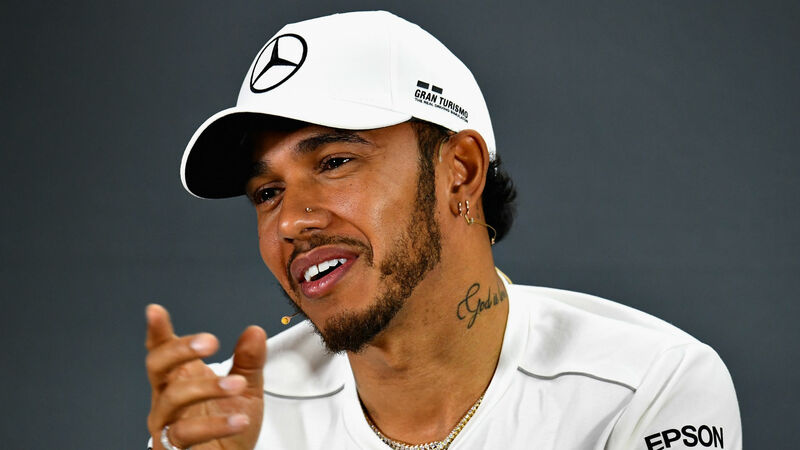 Lewis Hamilton says he can get even better in 2019 as he eyes a fifth Formula One drivers' crown in six years. Hamilton chalked up his fifth career title in 2018, with Mercedes continuing to dominate the sport. Team principal Toto Wolff has suggested changes to aerodynamics regulations could make this the most open championship in recent memory, but Mercedes and Hamilton remain the odds-on favourites to take the honours. Speaking at the launch of the Silver Arrows' 2019 challenger the W10, Hamilton - two short of Michael Schumacher's record of seven drivers' crowns - insisted he remained as motivated as ever to come out on top. "It's crazy to think that this is my 13th season but I still have the drive, the energy and the desire to elevate and want to do different things and continue to grow and improve as an all-round driver, but also as a human being," he said in a video posted on the team's official Twitter account "I'm excited about it. "2018 was a great year but I feel like 2019 can be even better. "I don't think I have the same fire, it's a different fire every year. It evolves, it shifts. "The beautiful thing with fire is, if you actually sat and looked at a flame or a fireplace you see the fire's constantly shifting, that's the same as every single year in my heart. "It's always burning bright and it couldn't really be any more powerful, any hotter or any stronger than it is. But it's evolving and flourishing. "I'm the second oldest driver here now but I still feel young. I'm still fit, still strong, still got it."